We offer the latest in technology and practices in Paint Protection Adelaide. Wurtzite products combined together with paint correction achieve what is the pinnacle of a killer glass finish. Paint & Exterior Protection for your vehicle from Adelaide market leaders will keep your car looking newer for longer. Wurtzite P85 Crystal Symmetry technology the latest development in paint protection all Wurtzite coatings have a unique structure that allows actual bonding adhesion to your car paint work. P85 is the only 85% SiO2 on the market, this means the active ingredient silicon dioxide formula is 85% strength other brands on the market are 50% or less. We apply a crystal glass coat ( hardness above 9h-10h Mohs ) layer over your car paint work and other surfaces to protect your car from the harshest elements. P85 has superior wax like finish unlike any other coating on the market. Wurtzite P85 has a 10 year performance life which makes P85 the number one choice for professionals in the luxury car market. All backed by Wurtzite 10 year warranty for new cars with no maintenance inspections. 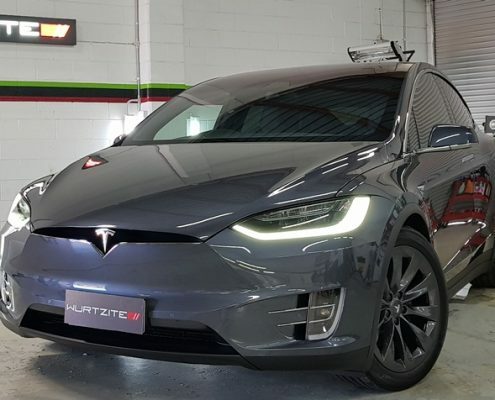 What does Wurtzite P85 Paint protection protect against ? deluxcar accredited coating specialists in Wurtzite P85 the most technologically advanced treatments for your luxury car or family vehicle. Wurtzite products are for professional use only installed by our trained coating technicians our services offer excellent value for money backed by Wurtzite 10yr warranty . Wurtzite P85 has become the number one choice for professionals in the luxury car market internationally .